The Killeen Mirror features a gorgeous open work rectangular frame of ice blue mirrored ribbons that weave in and out of each other creating a graceful movement around the frame. It is a perfect focal point for any design. 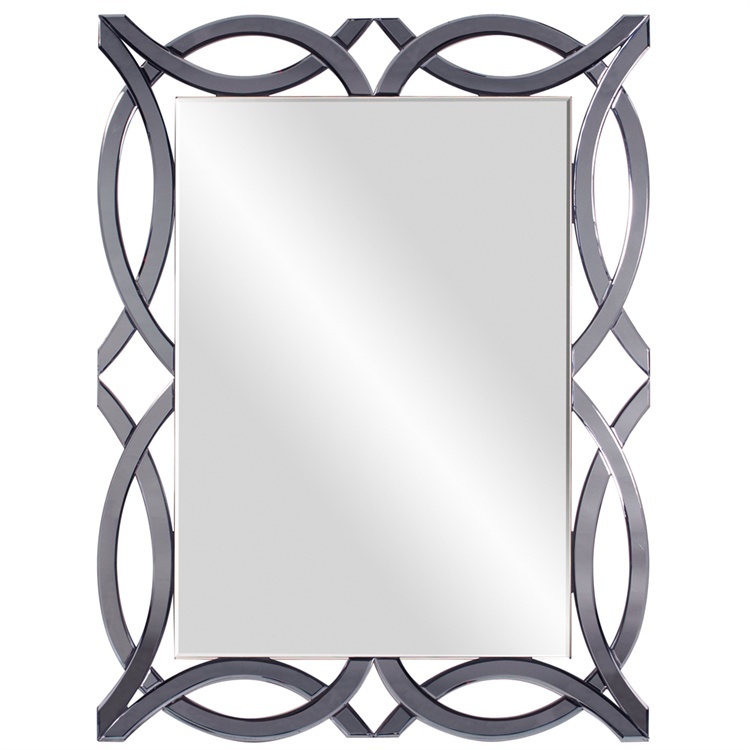 The mirrored glass on this piece has a bevel adding to its beauty and style. The Killeen Mirror can be hung vertically or horizontally. Customizable for larger orders.